Don Besig: Regards to Broadway! Celebrate Broadway musicals past and present with this entertaining and educational revue. An optional narration (for up to 50 speakers) tells the incredible history and evolution of American musical theater and ties this 35-minute choir-focused presentation together with purpose and panache. 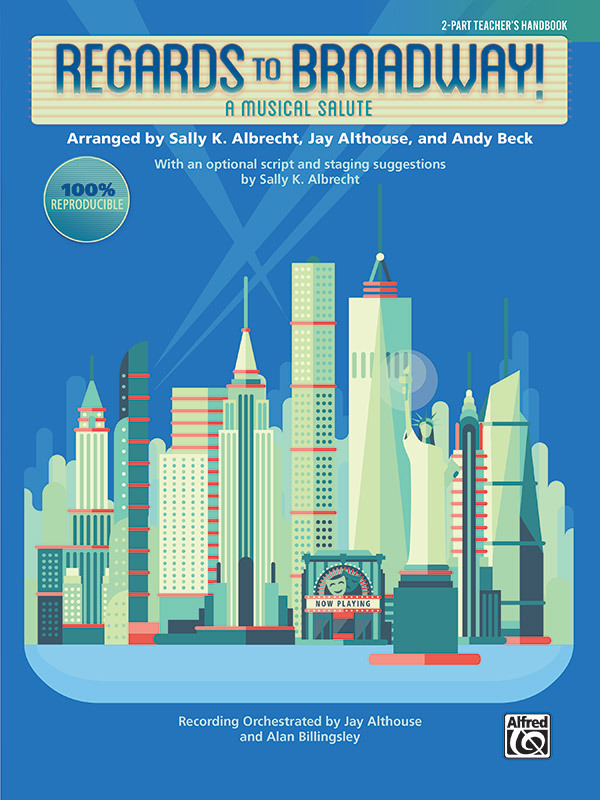 Features a dozen hit show tunes from a century of blockbusters like Gypsy; Kiss Me, Kate; My Fair Lady; Ragtime; and The Wiz; arranged exclusively for 2-part or 3-part mixed singers by Alfred Music's top writers. Includes choreography notes throughout the 100% reproducible score as well as extracted singer pages on the live-orchestra Enhanced CD. Recommended for grades four and up.